Before there was “Pinterest”, a new social media bulletin board for pinning images of interest to you and your group, I had my own “pin interest”. 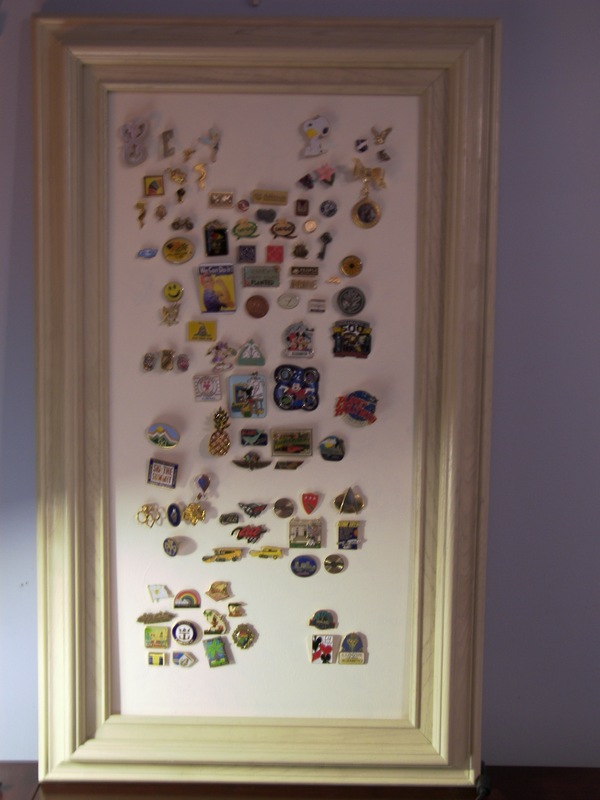 What to do with those enamel pins that are collections, gifts, awards, remembrances, etc? For years, like my earrings, I used and embroidery hoop with fabric stretched for pinning. Some of these pins in my collection are rather heavy (especially the Disney ones). Last year it occurred to me that stretched canvas would be sturdier. The custom frame finishes my “story board”, “Pinterest”, other suggestions for a name? Great idea. I have pins scattered about because I could not figure out what to do with them.The only other name I could think of was PinStory (like History). “PinStory” is a great name! Each of the pins have from brief to long story associated with it.